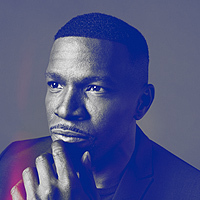 Intuition is the third studio album by Jamie Foxx. It was released on December 16, 2008 in the United States under J Records. The album debuted at number 1 on the Top US R&B/Hip Hop Albums Charts and number 3 on the US Billboard 200, selling 265,000 copies in its first week. Intuition has sold 1 million copies in the U.S. alone, as of May 2010, and has been certified Platinum by the Recording Industry Association of America (RIAA). This album consists of 15 tracks. 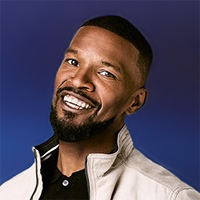 To promote the album, Jamie Foxx went on the 40-city tour. Visit our gallery to see the photos from The Blame It Tour. Jamie released 5 singles from the album: “Just Like Me”, “She Got Her Own”, “Blame It (On the Alcohol)”, “I Don’t Need It” and “Digital Girl”. The first single, “Just Like Me”, was released on November 11, 2008. The track features T.I. and was written and produced by Tricky Stewart & The-Dream. This is the second collaboration between Jamie and T.I. after “Live in the Sky” off T.I.’s fourth studio album King. The single was promoted by a video directed by Brett Ratner which featured an appearance by Taraji P. Henson. The video premiered on November 26, 2008. “She Got Her Own” was recorded as the official remix for Ne-Yo’s single “Miss Independent”. 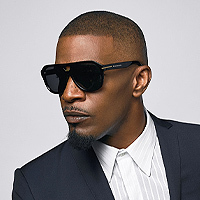 The song was released on December 14, 2008 as a single for both Ne-Yo and Jamie Foxx and features Fabolous. The song was also featured as a bonus track in Ne-Yo’s Japan album edition and the pre-order of Year of the Gentleman in the UK iTunes Store. The song samples the 1979 song “My Baby Understands” by Donna Summer. Ne-Yo, Jamie Foxx, and Fabolous performed “She Got Her Own” at the 2009 BET Awards. A music video for “She Got Her Own” was released on September 22, 2008. It featured cameo appearances by Estelle, Eve, Keyshia Cole, Jill Marie Jones, Teyana Taylor and twins Malika Haqq & Khadijah Haqq from the 2006 film ATL . “Blame It (On the Alcohol)” was released as the second official single from Intuition. It features T-Pain and was produced by Christopher “Deep” Henderson. “Blame It” is the most successful single from the album, peaking at #2 on the U.S. Billboard Hot 100, and has topped the Hot R&B/Hip-Hop Songs chart for 14 consecutive weeks making it the second longest-running number 1 song on the chart. The song has sold over one million downloads. The song has been certified Platinum by RIAA. The music video was directed by Hype Williams and premiered at BET’s 106 & Park on February 25, 2009. 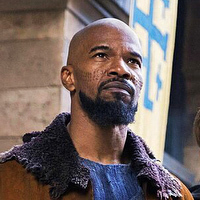 It featured cameo appearances by Ron Howard, Forest Whitaker, Jake Gyllenhaal, Samuel L. Jackson, Quincy Jones, Cedric the Entertainer, Morris Chestnut, Clifton Powell, Alex Thomas, DeRay Davis, Joe, Mos Def, Tatyana Ali, Jalen Rose, Bill Bellamy, Ashley Scott, Electrik Red, Dawn Richard, Keshia Knight Pulliam and LeToya. BET named it their No. 1 music video for 2009 on their year-end Notarized countdown. The Timbaland-produced track “I Don’t Need It” was released as a radio-only single in May 6, 2009. The track was initially supposed to gain a full release, but failed to get one due to Jamie Foxx needing to prepare for The Blame It Tour. The single version of “Digital Girl” with Kanye West, The-Dream, & Drake is the official remix of the album version. The song was released on June 25, 2009. The official music video for “Digital Girl (Remix)” was directed by Hype Williams and premiered on August 20, 2009. It ranked at #47 on BET’s Notarized: Top 100 Videos of 2009 countdown.